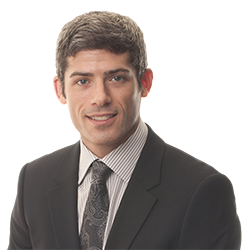 Jonathan A. Beckerman | Littler Mendelson P.C. A go-to resource in complex employment matters, Jonathan A. Beckerman leverages his legal experience and deep subject matter knowledge to achieve successful results on behalf of management-side clients. His proactive counsel helps employers identify and mitigate workforce risks, particularly for companies in the hospitality, retail, construction, manufacturing and health/wellness sectors. He also regularly interacts with state and federal agencies, such as the U.S. Department of Labor and the Equal Employment Opportunity Commission (EEOC), defending his client’s interests at every stage of the complaint/charge process – from investigations and negotiations to fact-finding conferences and administrative hearings. Jonathan is involved in the firm’s award-winning platform Littler CaseSmart®, an innovative case management system for handling litigation and EEOC charges. In his capacity as supervisory attorney, he manages single-plaintiff litigation asserted in Florida for a major client and all wage and hour administrative claims asserted nationwide. In law school, he was technical editor for the Nova Law Review and a member of the Moot Court Honor Society. With distinctive parallels to his law practice, Jonathan hones his techniques studying Brazilian Jiu Jitsu, which he has pursued for more than a decade. The ability to adapt and alter tactics against opponents carries over advantageously to legal strategy as he evaluates and modifies defensive maneuvers against plaintiffs. He approaches labor and employment challenges not only with an extensive legal background but a keen awareness that each situation necessitates an individualized approach. Social Media and Your Company: Dos, Don'ts, and OMGs!